Feeling down. My skin looks terrible. Two mega spots on cheek are flattening, but the third has doubled in size. It’s a huge hard lump with no head. to make matters worse, I’ve now got about 4 or 5 other hard “lump” type spots with no head that won’t pop, as well as a new active on left cheek. Monday will mark 6 months to the day I went to the doctor and got help in the form of antibiotics and cream. My skin has got worse and worse. I just compared side by side pics of accutane day 1 to today and my skin just looks worse. I’m so devastated. The horrible wave of actives (I counted at least 12 in the end) appear to be flattening out, including the biggest megaspot on right cheek which just seems to leak blood or clear fluid every now and then. Lips are still manageable with lots of aquaphor, but the cracks on side of mouth are getting bigger and uglier. Sore joints seem to have passed, but I have had mild but shooty kind of tingling in my right arm on and off. 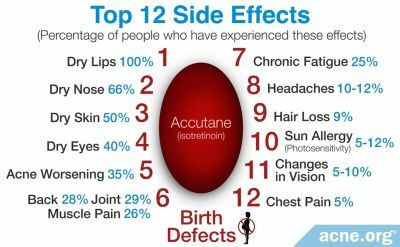 Not sure if accutane related? Anyway. Feeling a lot better today knowing that this breakout phase is on its way out. Still got a very long way to go! Not even half way through yet. Things continuing to improve. I caught my face in that mirror at work again yesterday and had a good look; texture on my left cheek is perfect! Right cheek not so much, but getting there. I am purging big time right now but in very concentrated places; jawline and the problematic area left side of chin I keep going on about. I’ve got loads of inflamed comedones there at the moment. Lips are still dry and corners cracked. Still losing eyelashes! Still got red scaly patches all down left arm too. hey just stopping by again to offer support. I have the dry scaley spots on my upper arm too. I had it my second round, so it was expected. I just have more now. (maybe because I've been on a higher dose this time?). haha I also lost a few eyebrow hairs, pretty much had a tiny baldspot last round. Haven't noticed it this round yet. Last round I didn't see noticeable improvement until my fourth month, so hang in there. Im starting my fourth month in about a week, and I still have pimples arising here and there. I really just cant wait for the steady improvement phase. I cant wait to be done. Id literally be SO OK with completely missing this part of my life and jumping into two months later. Hello! Thanks for the support, and it’s good to know that people are following and I’m not just talking to myself, haha. Any tips for dealing with the scaly skin on arms? I’m with you on that. Why can’t we just skip to two months time!? Im ready for the improvement phase too, rather than the “oh maybe things are getting better? No wait, here’s a bunch of purging again!” I’d take two steps forward and one step back, rather than one step forward and one step back which is where I think I’ve been most of the time during this course so far. Also can’t wait for all my closed comedones to surface! Cheeks continue to flatten. Jawline and left side of chin continues to purge. I counted the closed comedones today in that problematic patch I mentioned on left side of chin. I counted 22 including 4 or 5 inflamed ones. The rest of my closed comedones are on jawline (both sides) and some on neck (mostly right side), with a few scattered on my cheeks still for good measure. I would say the total amount of cc’s on my face is less than 50 now? Or maybe roughly 50? This must indicate progress because I know for a fact I used to have 100+. Side effects wise, I used a 1% hydocortisone cream on my cracked lip corner last night which seems to have helped. Lips still very dry. Still losing loads of eyelashes and hair feels quite dry and brittle too. Wash face with Cerave hydrating cleanser, apply Cetaphil daily defence spf50 moisturiser, then makeup. Take makeup off with La Roche Posay makeup remover. Wash face with Cerave hydrating cleanser and use the Cerave moisturising cream (in tub) on face. Then apply BP (acnecide) to problematic spots. My skin has also been able to tolerate my origins charcoal face mask once per week too. Nothing to add. Jawline and chin still bad and inflamed but cheeks are flattening further which is the main thing. Things continuing to calm down overall. I’ve had this one stubborn little closed comedone on my right cheek that’s becoming inflamed, but hard to know if it’s going to turn into a little whitehead or big ugly cyst at the moment! Skin is still quite good. Feels smooth. Lots of continuing purging on bottom of face, particularly right jawline, right of chin, and left bottom of cheek. I can handle it as I don’t mind getting acne there really, and I know it’s all the closed comedones emptying out which is progress. That 1% hydocortiosne cream has literally saved the cracked corners of my mouth! Ongoing dry lips, arms, and some lower back pain as well. All manageable. Things are still quite good! Cheeks are fine apart from another new brewing spot on left cheek that could turn out to be tiny (like the last one) or a big one. We’ll see. Continue to purge along bottom half of face generally, mostly the right side. Spot on left cheek is still there, argh! As is a new one below it. Apart from those two pimples, my face looks quite smooth. Corners of lips are bad again annoyingly. Bottom of my face continues to breakout. Purging all along right neck, right jawline, left of chin and bottom of left cheek. Lips are probably the dryest they’ve ever been. Still losing eyelashes. Arms still dry and scaly and red. As of yesterday, week 12! Skin is hard to describe at the moment. It’s clearly improving in some ways, probably because it feels and looks smoother overall. But the bottom of my face is still not looking great. I’ve also got about 8 or 9 of those spots which are just flesh coloured and hard with no pus in; one of which is on my right cheek and is really painful. I also couldn’t help myself earlier and went on a bit of a squeezing spree of stubborn closed comedones so I think I might have set myself off badly for the week now! Woops. nothing else to report. Energy levels still low. arms still dry. Lips still dry. Drank alcohol this weekend and I have been feeling very hungover today. Bad skin day. One mega spot on left cheek and another nasty spot from a closed comedone I squeezed. Left side of chin is extremely inflamed from where I went on a squeezing spree last night. 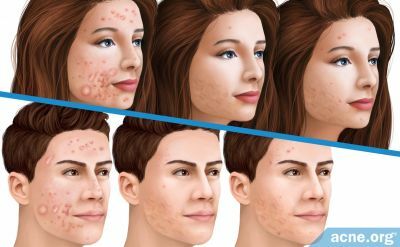 From the symptoms you describe, you quite possibly have an outbreak of candida and/or malasezzia (which are fungi), which are causing your skin problems, rather than "ordinary acne". If you have a white tongue, itchy or painful red rashes, cracks around your lips, and the skin symptoms you describe then you probably have candida. If you have dandruff, scaling skin (especially around eyebrows), and the skin symptoms you describe, then you probably have malasezzia. You could, of course, have both candida and malasezzia. Both candida and malasezzia outbreaks are caused by taking oral antibiotics. Get back to me if you have a white tongue and/or dandruff and I can provide information on how to control the "outbreaks" on your skin. Thanks, I don’t think it is though given that accutane is working whilst anti-fungal treatment hasn’t. So much for my oily skin... my face is SO dry today! Really annoying and no idea what that’s about. Spots still bad. Depends on the antifungal cream that you have applied. Antifungal creams are specific for different types of fungus. 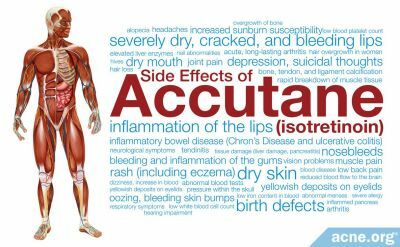 Accutane will help control malasezzia fungus, because it controls sebum, which malasezzia feeds on. I would try using terbenafine antifungal cream (sold as lamisil). Topical terbenafine cream is safe. The azole antifungal creams do not control malasezzia. Still no change to skin. Progress is extremely slow. Problem areas are left side of chin, right cheek and bottom cheek, right jaw and right neck. Face skin is still dry. I’m wondering if it’s because my makeup remover pump broke and I’ve switched to micellar water? It seems to be irritating my skin! Today I had my 3 month check up, a few days early because of the holidays. Derm was very happy with left side of face. She wrote me out a prescription for 40mg again, 60mg wasn’t in the mix despite her saying it would be; luckily I wanted to stay on 40 anyway. "Still no change to your skin...."
Why not try a topical antifungal cream with terbenafine it it ? Cheap and safe .... Your call, of course. Good skin day! Face feels smoother overall braved work with just a bit of concealer on! Skin is still good! I do have a nasty pimple brewing on right cheek which is my own fault, as it’s come from a blackhead I squeezed. Hi month 4! So month 3 was kind to me on the whole. There were some low points, but it was the first month I saw actual progress. lips dry as always. Had mini nosebleeds yesterday and the day before. Still finding eyelashes all the time. Eczema on arms still bad. Skin looks better and better. I have ONE active; the inflamed blackhead I mentioned 2 days ago. Even the hard lumps that were hanging out on my bottom right cheek have flattened down without doing anything else. I’m so pleased right now and my confidence is returning very quickly. Side effects are weird though. Eczema has now spread to shoulders. I’ve got very dry eyes today and also my top lip on the left has randomly swollen up! Also, those hard lumps have either come back or new ones have formed. So my texture isn’t feeling too great today. Im also getting very upset about the deep rolling scars that have been left behind everything. hard to tell at the moment if certain things are side effects or hay fever. My eyes have been so dry and itchy every day! 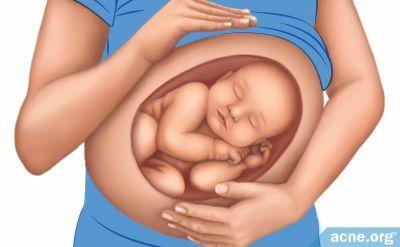 How Dangerous Is Accutane (Isotretinoin) During Breastfeeding? 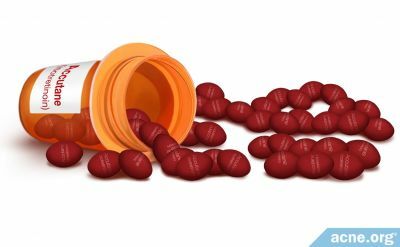 What are the side effects of Accutane (isotretinoin)? 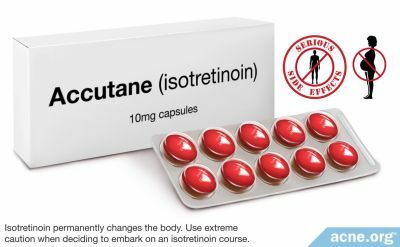 What Is the Actual Relapse Rate of Accutane (isotretinoin)?